Save $2.00 on Scotts Songbird Selections or Morning Song Wild Bird Food. 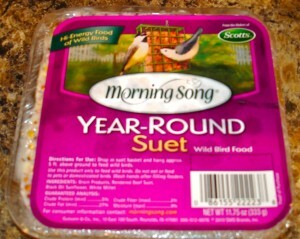 I’m hearing that Walmart has Scotts Morning Song Year-Round Suet Wild Bird Food priced at about $1.16. That means you should be able to get it FREE, plus you could end up with possible overage after the coupon.